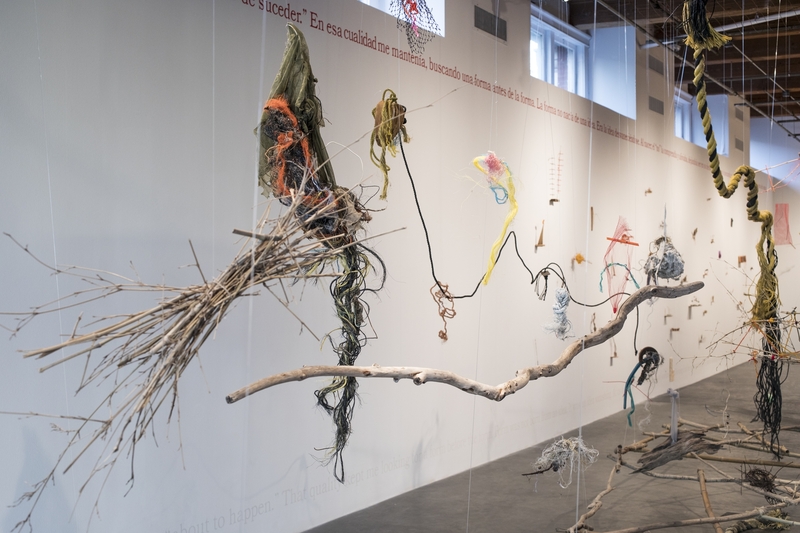 Participate in the opening of Cecilia Vicuña: About to Happen with an improvisational performance by the artist, the creation of a living quipu. Inspired by the ancient Andean writing tradition of “talking knots,” the living quipu will celebrate tactile knowledge and interconnections across the cosmos. This performance is a dynamic form of storytelling in which unspun wool and language weave a vibrant matrix of connections and possibility. Following the collective performance, unpack ideas and contexts informing the artist’s process in a conversation between Vicuña and exhibition co-curators Andrea Andersson and Julia Bryan-Wilson. Free with the purchase of museum admission. Space is limited, pre-register below! The Henry is a place for all visitors to enjoy, learn, and be inspired. The museum is fully accessible by wheelchair, and we strive to provide services and accommodations for anyone who needs assistance. Please email contact-museumservices@henryart.org with particular needs or concerns you may have. If you need ASL services, please make your request two weeks in advance of your visit. Cecilia Vicuña. Photo: Daniela Aravena. Courtesy the artist and Lehmann Maupin, New York, Hong Kong, and Seoul.